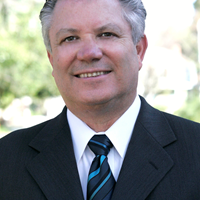 • Experience: Over thirty years buying and selling real estate for myself and my clients. • Enthusiasm: I am a very skillful negotiator and will work diligently to help you realize the best possible price when buying or selling your home. • Ethics: I pride myself on being a very honest and ethical person. I will always help you make informed decisions about purchasing or selling your home. My Exclusive Home Acquisition System - Finding the Right Home for You! • Access to homes no other Realtor will show you. • I can show you how to save an average of $30,000.00 on the purchase price. • We will find a home that fits your needs. • In a neighborhood that suits your style. My Exclusive Buyer Delivery System - Selling your Home in any Market! Joe Homs is the best realtor that I've worked with in any market and I've worked with some of the best. His expertise and knowledge of the markets are top notch. Joe's patience with the process has helped me to get the best price more than once. He doesn't panic and when negotiations get tough; he steps up. I'm not exaggerating when I say that I've gotten the best deals because of Joe.